Everything seen in the theme preview can be achieved via shortcodes and WordPress default functions. You however should have at least a little knowledge of both HTML and WordPress. The theme package also includes all templates seen in the theme preview as text files. Importing them in the editor takes only a few seconds each and should help those who never worked with shortcodes before. 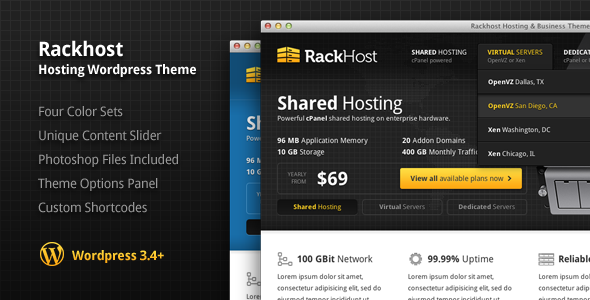 Share the post "Rackhost Hosting WordPress Theme"